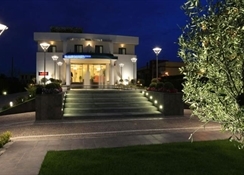 Situated north-west of Naples, this hotel is only 650 metres from the beach in Giugliano In Campania and 1 km from Magic World Amusement and Waterpark. 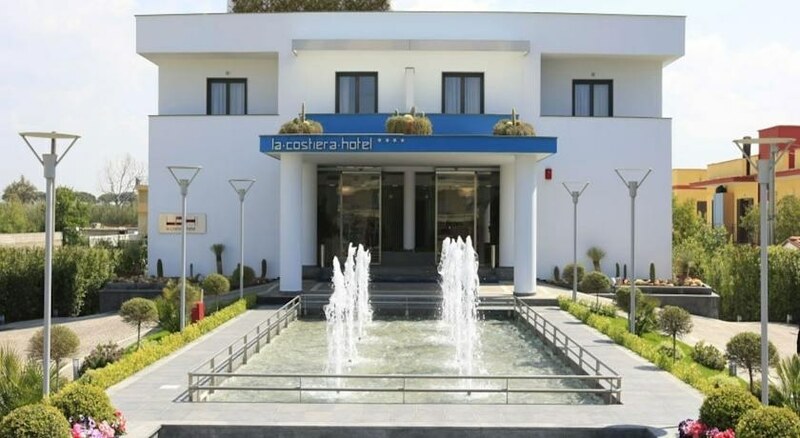 The comfortable accommodation is also a 15-minute taxi ride from the Napoli-Capodichino International Airport and a 10-minute drive from the Pozzuoli port, which provides connections to Ischia, Procida and Capri. Due to its location it is a great choice for both travelling professionals and holiday makers, and it can offer the services and facilities needed by both groups. 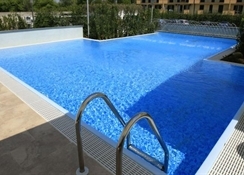 The splendid outdoor swimming pool is a great choice for anyone who wishes to escape from the heat, while the sun terrace is the perfect place where to work on that healthy tan. 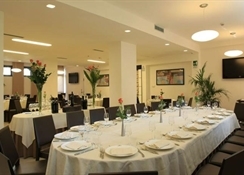 The large restaurant serves delicious traditional dishes and boasts an extensive wine list, making it the ideal venue for group lunches, dinner parties and banquets. Providing quality service- the accommodation offers its guests 52 finely furnished rooms- a splendid swimming pool with spacious sunbathing area- a spacious video surveilled parking area- an internal restaurant and a shuttle bus service. The hotel is completely accessible for disabled guests.The hotel offers finely furnished rooms providing direct line telephone- bar fridge- independent heating and air conditioning- digital safe- satellite TV- Sky TV- Wi-Fi Internet access and private bathroom with hairdryer. By car: Del Sole A1 Motorway Roma-Napoli- take the Napoli exit. Take the Tangenziale towards Pozzuoli and then take the Varcaturo exit. Alternatively continue towards Afragola along State Road ss162 towards Lago Patria-Pozzuoli- taking the Lago Patria or Varcaturo exit. The nearest airport is the Napoli-Capodichino International Airport (about 13 min by taxi).